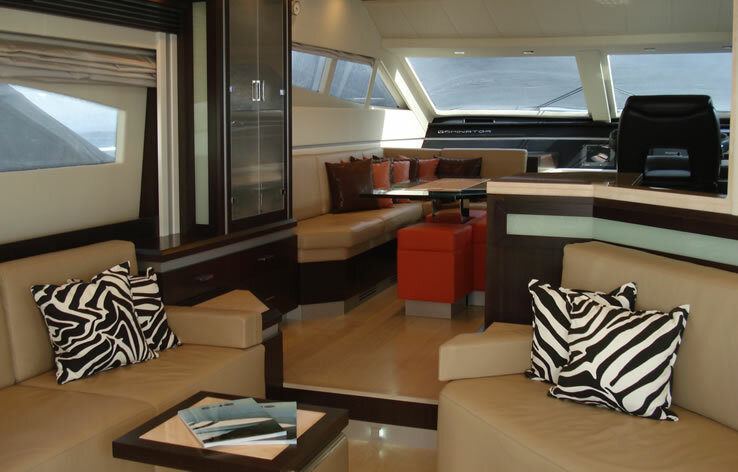 The Dominator 62 motor yacht SEA WITCH is based in Sardinia during the summer. 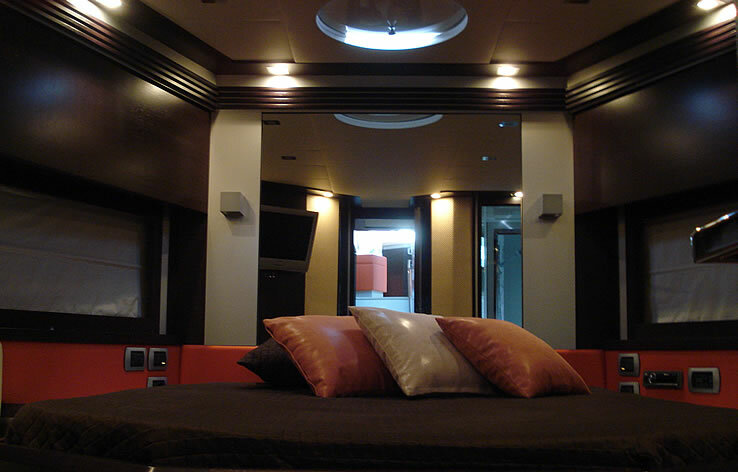 Launched in 2007, SEA WITCH is a modern and contemporary design offering high quality in all aspects from a technical and construction perspective to a design perspective. 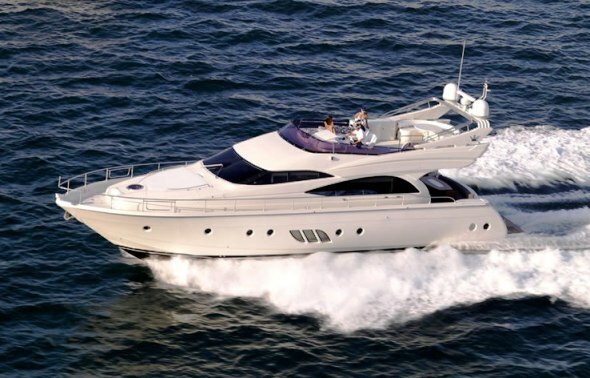 With a fast cruising speed of 25 knots, SEA WITCH is the ideal yacht to enjoy the sandy beaches and bays around Sardinia and the natural beauty of La Maddelena archipelago. Even the delights or Corsica’s southern coast is just a short day trip away. 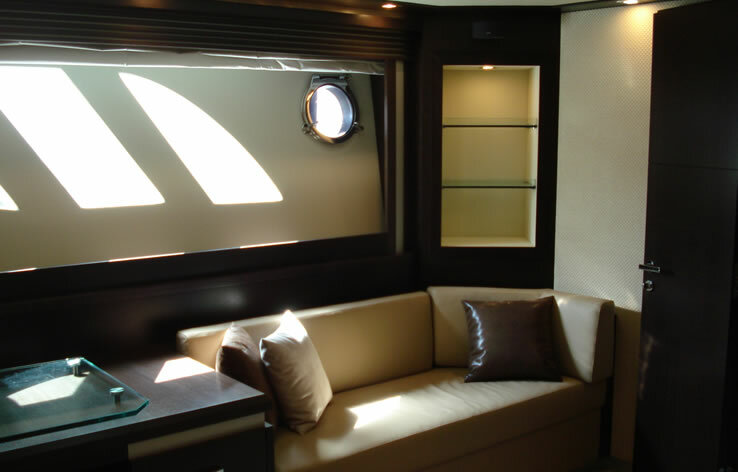 Based in Costa Esmerelda, SEA WITCH is available between Olbia and Porto Cervo with no delivery fees. 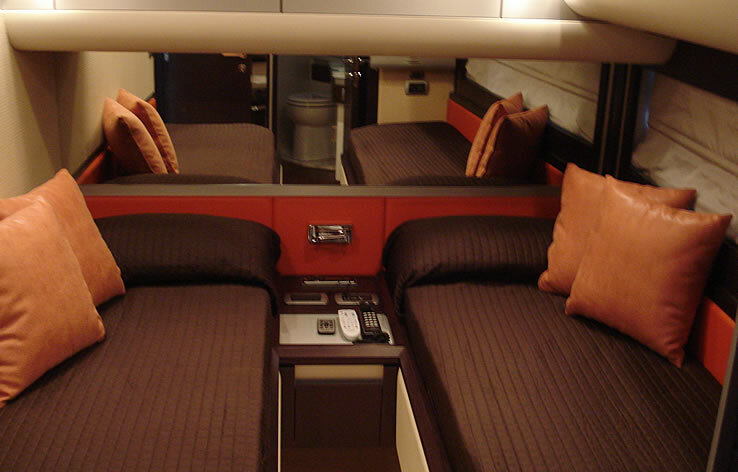 The Dominator 62, SEA WITCH offers accommodation for 6 guests in 3 cabins and is managed by a professional crew of 2. 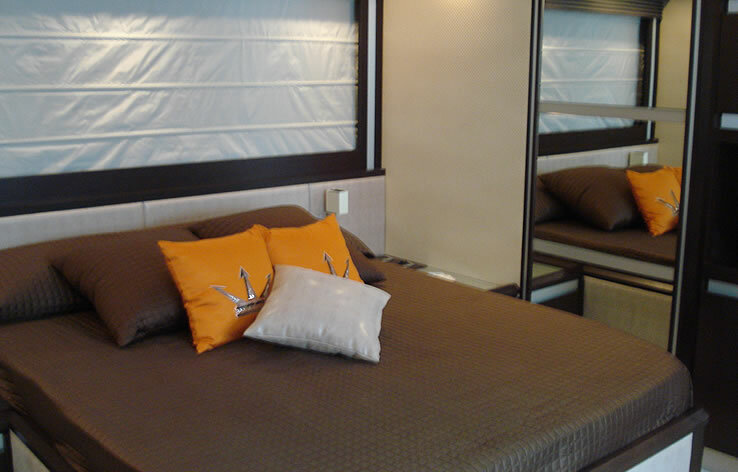 Comfortable accommodation is provided for 6 guests in 1 master cabin, 1 double & 1 twin. 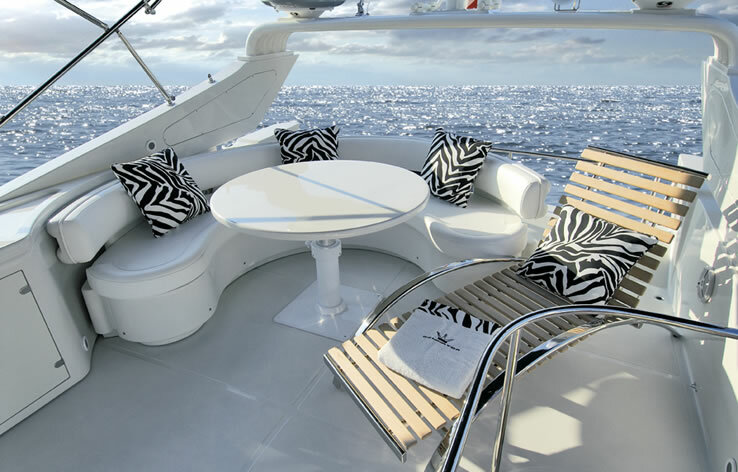 Motor Yacht SEA WITCH is equipped with a Tender with outboard, Snorkeling gear and Towable inflatables.